We are a participant in the Amazon Services LLC Associates Program, an affiliate advertising program designed to provide a means for us to earn fees by linking to Amazon.com and affiliated sites. 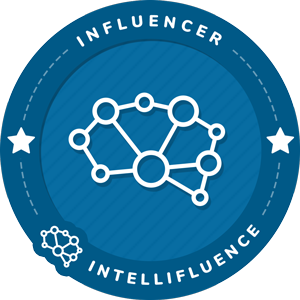 Furthermore, this page may contain other sponsor, affiliate, and/or advertising links. This means if you click on a link (ad) on our site, we may receive a commission. As always, opinions are my own and are sincere. To read our full disclosure, click this image. The Natural Homeschool, its owner or any guest writers and contributors may offer tips or advice. None of them will be held responsible in the case that these tips or advice were to not meet the expectations of the reader/implementer. Any person that decide that they want to get one or more of the free printables that are offered on this blog, they must enter their email address for the PDF file to be sent to their inbox. 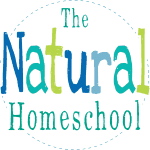 Their email address will be added to The Natural Homeschool’s email list to receive newsletters and any other pertinent information regarding homeschooling. This is a personal blog and it does not share or sell any personal information with individuals or companies. This blog does not keep record of individuals that visit it. The Natural Homeschool (this personal blog) is not responsible for content, comments or other information that is republished elsewhere without its permission. In turn, the content of this personal blog is for sharing purposes. Permission is required by this blog’s owner PRIOR to using, editing, republishing or altering any copyrighted content, photographs or graphics. If an individual or company likes the content of a post, the original link must be in place when re-sharing and permission from this blog’s owner must be sent in writing PRIOR to using any copyrighted photographs or graphics. The Natural Homeschool will never sell or give out any readers’ email addresses to third parties, unless it is clearly stated, like in the terms and condition of individual giveaways. Enjoy and use them a lot! Thank you.? Love you ideas and information. Please do NOT SARE MY EMAIL OR ANY OF MY INFO WITH ANYONE. Of course! We never do that. Thanks u!it’s very useful for chn! I babyymy grandboys. Thanks for helping to keep them actively engaged. Thank you. These will be great for my preschoolers!